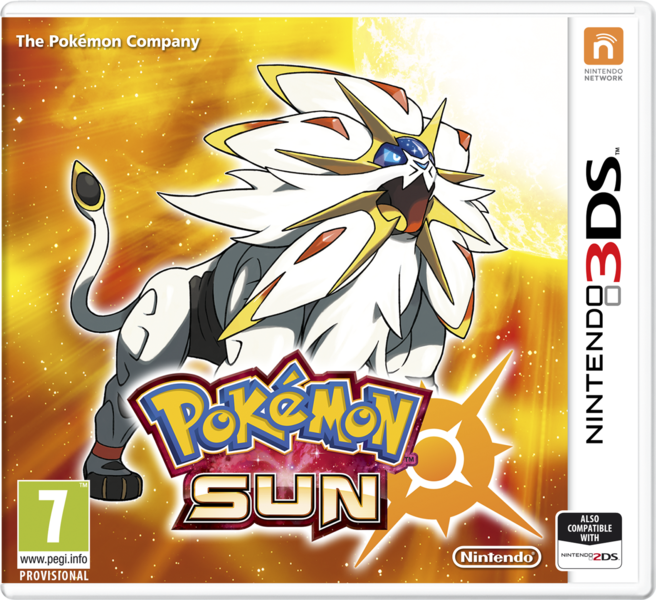 As you know, a ton of information about Pokemon Sun and Moon was leaked yesterday. Thanks to a guy on 4chan who played through to the ending and took screenshots, we soon found out things ranging from the starters stats to the plot line with Lusamine and the Aether Foundation and pretty much anything else in between. However, it turns out this was just the beginning! Because thanks to the ROM being leaked online by the 4chan poster, now literally everything has been datamined from Pokemon Sun and Moon! We’ve got the whole Pokedex for both versions. The stats for every Pokemon in the game. All of the game’s soundtrack has been uploaded to YouTube. Basically, it’s gone crazy over the last day or two. 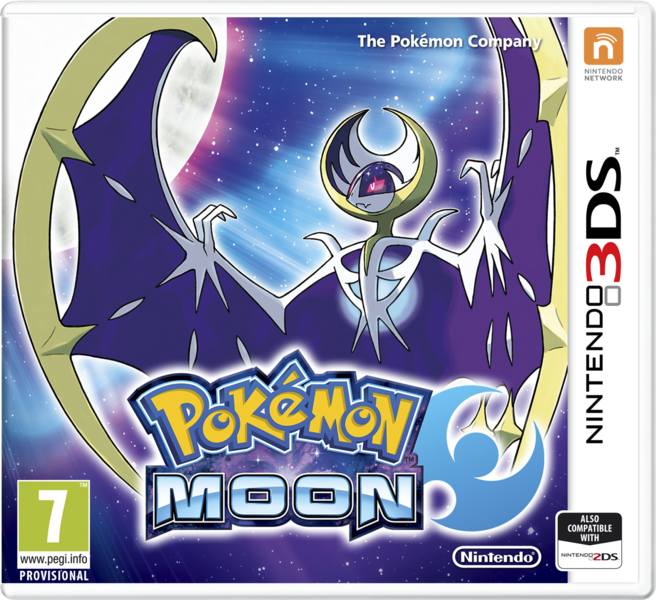 So here’s our full look at all the new Pokemon Sun and Moon info. Yeah, there’ll be spoilers, but you’ve probably come to expect this by now, right? Those are the stats for all new normal Pokemon, the cover legendaries and the Tapu island guardians. But do you notice anything interesting here? Cause yeah, I do too. Just like I said before, the vast majority of new Pokemon in generation 7 seem to be slow compared to those from past games. Not all of them (the legendaries have decent speed stats), but the normal ones seem to be slow to ridiculous degrees. It makes me wonder how things are gonna change when Pokemon Bank is released and Pokemon from past generations will join the new metagame. Will most of these new Pokemon even remain viable in the metagame? Cause I’m getting the impression the answer may be no, with a few really good exceptions helped by other high stats. Most just seem too slow to compete. Gengar(Mega): Gengar’s relationships are warped. It has no interest in opponents unless it perceives them as prey. Gyarados(Mega): Mega Evolution also affects its brain, leaving no other function except its destructive instinct to burn everything to cinders. Kangaskhan(Alolan): Thanks to Mega Evolution, its child grows. But as the child is good only at fighting and nothing else, its mother feels uneasy about its future. Sharpedo(Mega): As a consequence of Mega Evolution, its combative instincts exploded. The yellow marks it bears are scars from a long history of battles. Lucario(Mega): It readies itself to face its enemies by focusing its mental energies. Its fighting style can be summed up in a single word: heartless. It’s pretty messed up stuff, and implies Mega Evolution utterly demolishes the user’s psyche to near catatonic levels. It certainly explains why Mega Lucario went berserk in the Pokemon X and Y anime. The effects of Mega Evolution reduced its personality to that of a rabid, blood thirsty beast without remorse. That said, Mega Evolutions aren’t the only dark aspect here. Oh no, some normal Pokemon have disturbing entries too. How’s this for some prime nightmare fuel? 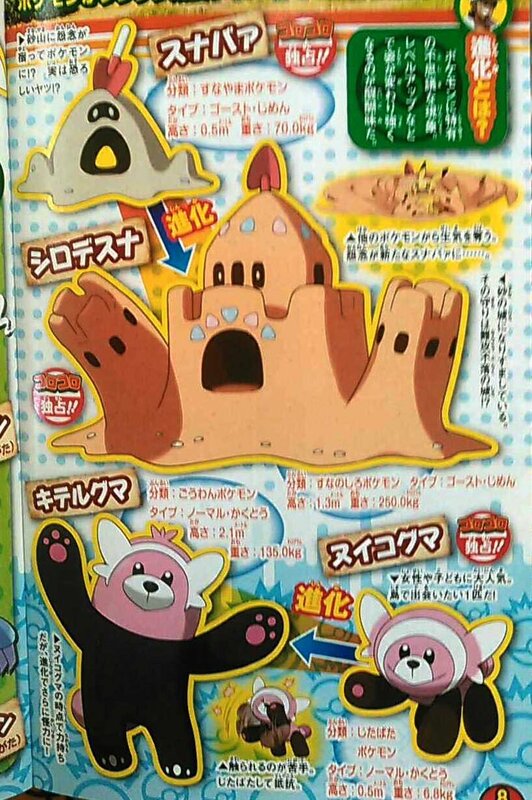 Bewear: This Pokémon has the habit of hugging its companions. Many Trainers have left this world after their spines were squashed by its hug. Metagross: It firmly pins its prey using its four claws and large body. Then the teeth in the mouth on its stomach chew the prey to bits. Gyarados: A tale is told of a town that angered Gyarados. Before the sun rose the next day, flames utterly consumed the town, leaving not a trace behind. So yeah, Pokemon lore seems to be aimed at older audiences in this generation, and the series seems pretty willing to go into territory it’d have never chanced in the days of Pokemon Red and Blue. But what about the other ‘dark’ aspect of the new games? The Ultra Beasts? What can we learn about them? Well for one thing, we’ve got cast iron proof they’re simply powerful Pokemon. Yeah, it was confirmed by Nintendo in statements to sites like Polygon. Yeah, it was also backed up by their data and sprites being found in the demo datamine. Add the box sprites and shiny forms, and it’s pretty clear they’re just Pokemon. Heck, for extra fun, they’re even useable in Pokemon Refresh, in case you liked petting monsters from another dimension! However, being able to pet Pokemon Cthulhu is completely normal compared to their types and stat set ups. Cause you see, they’re basically about as strong as the legendary birds, beasts and golems from generation 1-3. So they only have around 570 BST for each one. That makes sense. So yeah, quite a few of these Pokemon are literally as attack or defence orientated as Deoxys in its Attack and Speed forms. Heck, some even just have one stupid high stat and little else, like Guzzlord and its crazy 233 base HP. And some of their types are no less mad. Oh no, what type do you think these creatures are? Like for example, the jellyfish style Nihilego? No, I don’t get it either. And that’s hardly the only weird typing here. One (Guzzlord) is Dark/Dragon type despite looking nothing like a dragon, and another is… a Grass/Steel type. It’s like the types were quite literally picked out of a hat. Or maybe by throwing darts at a dartboard. Either way, if they wanted to give the impression these were strange creatures from a alternate universe… well, they certainly succeeded there! But how do you catch them? Well, from what’s been found, you use a special Poke Ball developed by the Aether Foundation that recognises Ultra Beasts. And during a Looker sidequest after beating the main storyline. So yeah, that leaked Poke Ball from the demo really is meant to capture these creatures. But enough about Ultra Beasts for now though. They’re interesting, but they’re not the sole focus of this article. So let’s move onto something different, like say, the game’s soundteack. As you can clearly hear, it’s a very different soundtrack to others from the series. The Team Skull ‘gangsta’ inspired music, the tribal sounds of a lot of battle songs, the somewhat melancholy final battle theme. It’s all new for the franchise, and works pretty beautifully if I do so say myself! Which is an interesting inclusion. Why? Because you don’t have to fight it. So apparently, the song plays when Zygarde is in battle under your control instead. So yeah, certain Pokemon seem to change the music when you send them out too. Interesting huh? As well as a fair number of others too. As you can see, it’s not much, but it’s enough to differentiate the versions a tad more none the less. Yeah, nothing too interesting, but probably useful to some people none the less. Finally, you actually get acknowledged as the league champion in this game! Yep, after winning, NPCs will actually call you the champion of the Alola region, and certain characters will actively challenge your title at the Pokemon League (which means you have to go and beat them in battle to retain it). So yeah, that’s all the Pokemon Sun and Moon updates this time around. It’s not as big an article as the first one, but that’s mostly because I decided to link to relevant documents rather than recreating them in their entirety over here on Gaming Reinvented. Either way, I hope you enjoyed reading the article, and I hope it got you more interested in playing Pokemon Sun/Pokemon Moon when the games are released later this month. Pokemon Sun and Moon; CoroCoro Leaks New Pokemon and Villain Team!